Macho Picchu, by itself, captivates any of us to visit the region of Cusco but, something that we discover on our researches was that one of the images we often encounter of a wonderful mountain of different colors, was precisely in the region of Cusco. 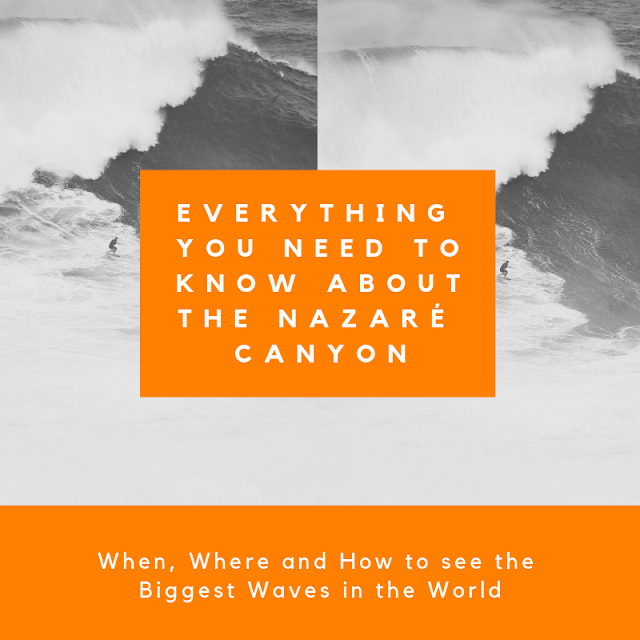 As soon as we discovered it, we began conducting the usual research to add this destination to our trip, as it was something we did not want to miss. 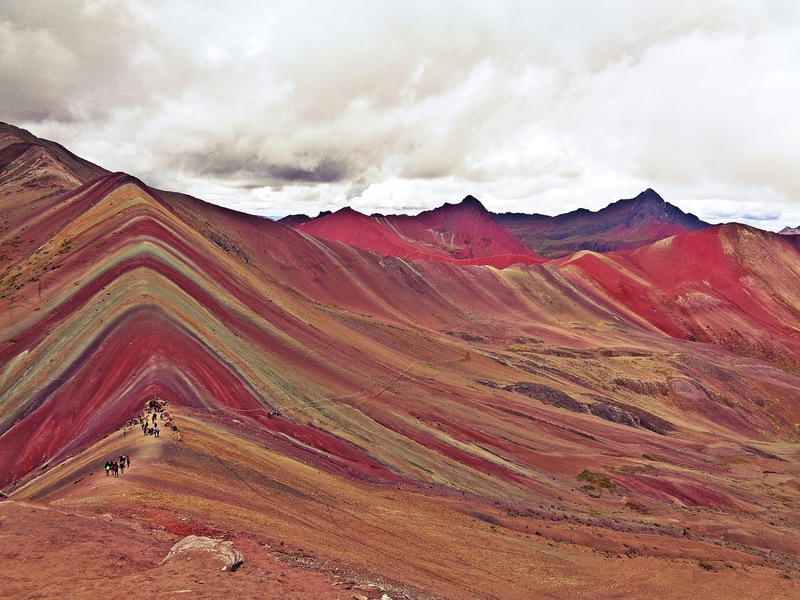 So what is Rainbow Mountain? Rainbow Mountain did not emerge a few years on the tourist map of Peru, the world didn't know about it but, on the contrary, it has long been known by locals and is even considered as a sacred site that must be respected and, tourists before starting the journey that takes to the top of the mountain will be led to perform a ceremony of respect for the gods of the mountain that, for the locals, is called Vinicunca. It is a mountain that, at its top, reaches the altitude of 5200 meters and is located in the Andes Mountains, Peru. Although it seems hand painted by a Renaissance artist, the origin of its different colors is due to the presence of different minerals in its composition, and the mixture of them gives the mountain a unique beauty, hard to find in the world. 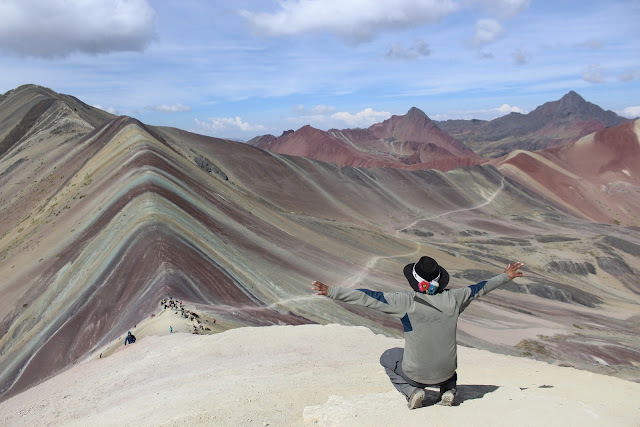 Something funny is that Rainbow Mountain is one proof that we live in the digital age, because all that was needed was a photo of this wonderful mountain to become viral, in 2015, to the world discover that beauty and, since then, several tourist companies start to make the journey daily, and visitors of all the world want to visit. Of course, in spite of the advantages of such, especially for the local economy, there is always the danger of tourism in mass can quickly destroy what took nature centuries to build, so not only in this case but, we are required to ask that who visit any attraction try to leave the smallest possible impact, preferably none. 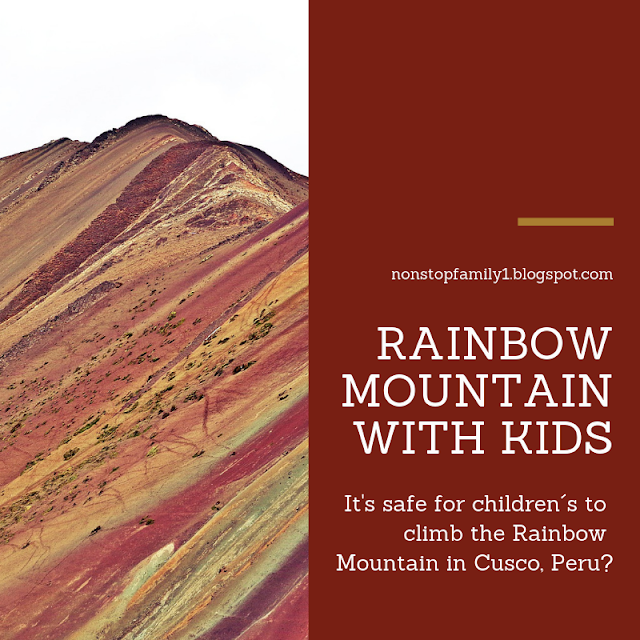 Is it safe for children to climb the Rainbow Mountain in Cusco, Peru? 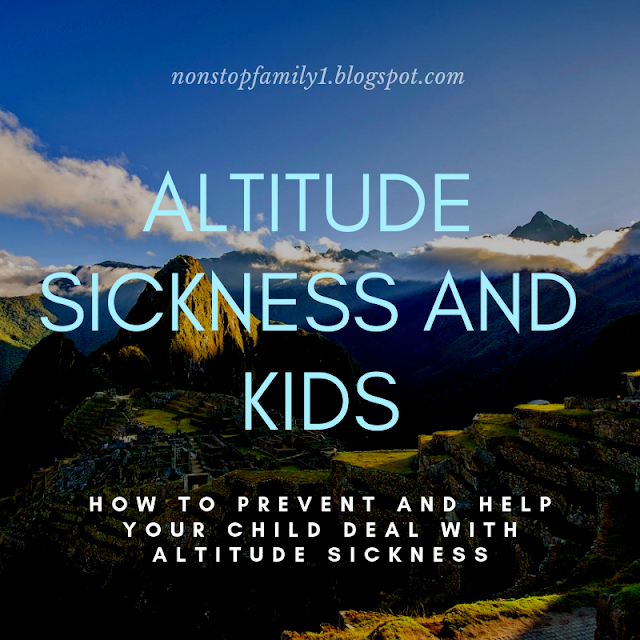 Having then also been influenced by this contagious effect and, wishing to visit this place, we faced the question of whether it would be safe to do this treck with a child of 7 years. Since we became parents, we make the point of taking our child anywhere we go and since then, we have to say that travel has become even better and, we don't travel less, rather we travel more and more to destinations far from our comfort zone, Europe. However, we also feel a lot of the need to better prepare the trips and study our destination, which is what is the basis of this blog, to help prepare the trips with families and, with our knowledge, promote that more and more people take their children to discover the world. Considering that the distance between Cusco and Rainbow Mountain is about 4 hours away by car or van, and that there is a vast offer of tourist packages to visit, we began to get more and more excited about the possibility of knowing this destination, which led us to realize the real question, would the visit to Rainbow Mountain be an appropriate and safe destination to take our son? That's where our investigation really began. 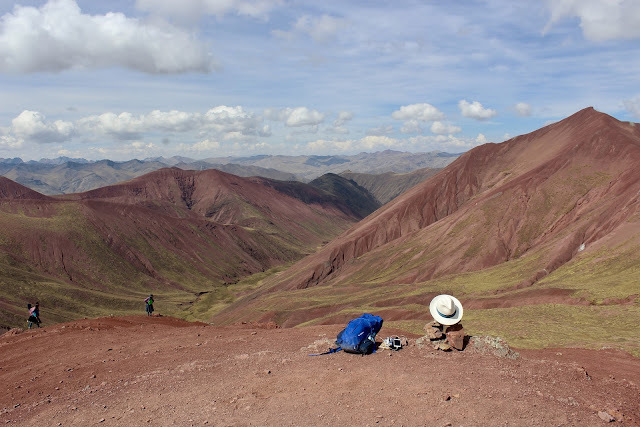 HOW TO GO FROM CUSCO TO RAINBOW MOUNTAIN? The beginning of the trip is nothing special. Although you can make reservations online, also easily in Cusco you can schedule your tour to Rainbow Mountain. The trip starts very early and in vans, you will take a path of about 150 km to the beginning of your walk, which is in a parking lot near the village of Pitumarca, where you will begin your walk. Usually your tour will include breakfast, as well as lunch, something we recommend as you will see that the offer on arrival is almost nil, since one of the positive characteristics is that this is not yet a widely publicized destination, something that will probably change in their future and, unfortunately, may bring dangers to the maintenance of this natural paradise. We also give the advice that you don't forget to take some snacks, because you will need them on your walk. If the trip by van to Rainbow Mountain is easy, you go seated, although some of the places you will pass may scare you when you look at the altitude of the road you are traveling to, you will have to face a walk of about 7 km upon arriving at your destination, for a total of approximately 14 km. CAN children's climb the Rainbow Mountain? The distance isn't very scary, but the question is the height, and walking at about 5000 meters in height is extremely demanding, especially for those who are not accustomed to these issues, reason why the total walk can take between 4 and 6 hours to perform. This question of the demand of the walk led us to think that it would be extremely inadvisable to do this walk with a child of 7 years, but we still saw that it is possible to do a big part of the walk on a horse ride, something that is paid separately. 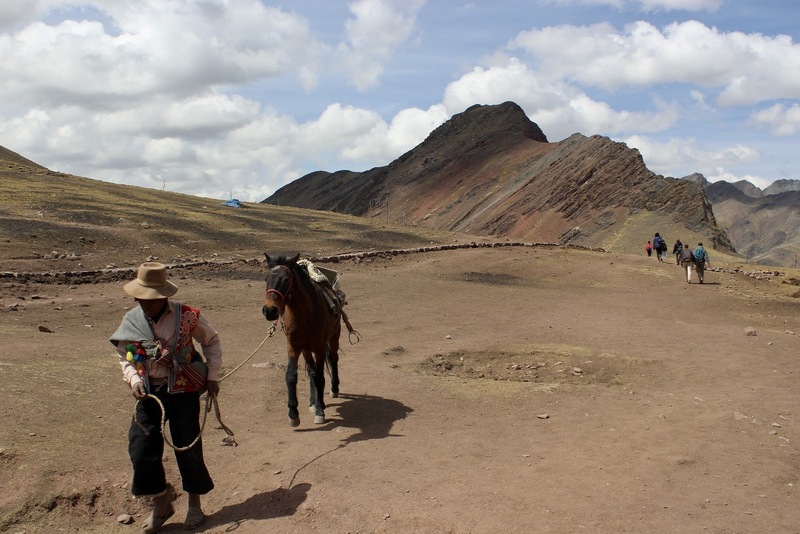 You can arrange the horse ride from the start of your hike or, if you wish, book this service further because along the way several times you will be approached by locals with horses to ask if you want to do the trek in a horse for a price that, gets lower when you walk a few kilometers. Something that must also be taken into account, in addition to fatigue, are the temperatures, which can be very low, adding to the possibility of rain and the course being done in muddy fields. Even with that information, we could not decide, so we went to do a survey with people who had already made this trip and we also contacted two tour operators in the area, questioning directly if it would be advisable or not to do this ascent with our 7-year-old son. It is true that we were able to speak with someone that had taken this trip with children´s and considered it a positive experience, but nevertheless, it was a family accustomed to living and trekking in high places and then more prepared for this purpose, but we also had reports of situations that they ran in a negative way, with children older than our 7-year-old son, feeling very bad about this experience, and having to get back on horseback. Also the two tour operators we contacted advised us not to make this trip with children because of the height and the dangers that arise from it. However, we know that not all of the touristic agencies advise against it, saying they carry oxygen bottles and first aid kits. Of course, the choice to visit somewhere depends always on one's own. However, we feel that by sharing our research and decision we can also help those who come across the same issues as us. In case of taking our son to Rainbow Mountain, we had to choose not to carry out this tour, it will have to stay for another visit to Peru. Considering the different reports we have obtained and the risks associated with the climb, we do not think it deserves the risk. In addition to risk, there is the issue of tiredness. The trip by car (usually by van) is huge, more than 3 hours in each direction, something that can increase depending on where the different tourists are picked up in the city of Cusco. The beginning of the adventure is at dawn, because around 4 o'clock is when they begin to catch the tourists, and may even be earlier, ending the experience usually near the end of the day. Of course, it cost us a lot to make that decision, we were so close... But if there is something we have learned since we traveled with our son, it is that things are not the same as they were but it is not because they are different that is worse, in our opinion, family travel is even better. Finally, we wanted to leave just one information, to avoid being disillusioned if you reach the top of Rainbow Mountain. Rainbow Mountain is indeed beautiful, but unfortunately, many of the photographs we see on the internet have the colors evidenced through Photoshop, so they do not correspond with the true beauty of the place, as you can see in this last picture, showing the real colors (that may change, depending on the weather, sun, rain, snow...). We did our reservations on Cusco with booking, they are our partners and its with them that we get the best deals. You can look for the best deals by clicking here, it won't cost you any money and, it will help us to support our blog. We hope our post helps you make your decision. We really wanted you to share your opinion, your doubts, and experiences, using our comments box. If you liked our article, be sure to share it, and do not forget to continue to visit our Non Stop Family Travel Blog.